Synopsis: In the 1870s midwest an outlaw is betrayed by his partner after they hold up a train carrying Japanese diplomats en route to Washington. 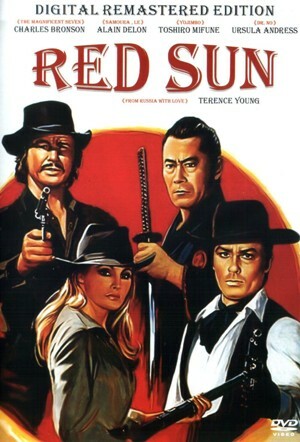 The outlaw and one of the Japanese bodyguards–whose partner was killed by the double crosser–set out for revenge. This entry was posted on 01/10/2007 at 18:58 and is filed under DVD. You can subscribe via RSS 2.0 feed to this post's comments. You can comment below, or link to this permanent URL from your own site.